"Well this is just MARVELLOUS! A shortcut you said. It'll be great you said... well as far as I can see, all your shortcuts seem to end with me standing in..!" 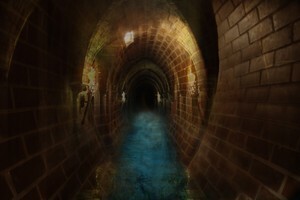 Filled with delightful elements with such names as: bubbling, oozing, squelching, gas, steam and so much more the "Sewer" SoundSet will make your next sojourn in the underworld of forgotten conveniences MORE than memorable. If there's a SoundSet that epitomizes the ability of Syrinscape to transport Players to places of wonder and intense 'immersion', this has just got to be the one!